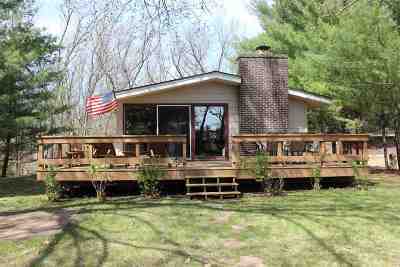 This very well maintained 3 BR 2 BA home is ready for you w/ 99' of water frontage on Big Roche-A-Cri Lake. wood burning fireplace with basement and tuck under garage gives you room for all your toys. 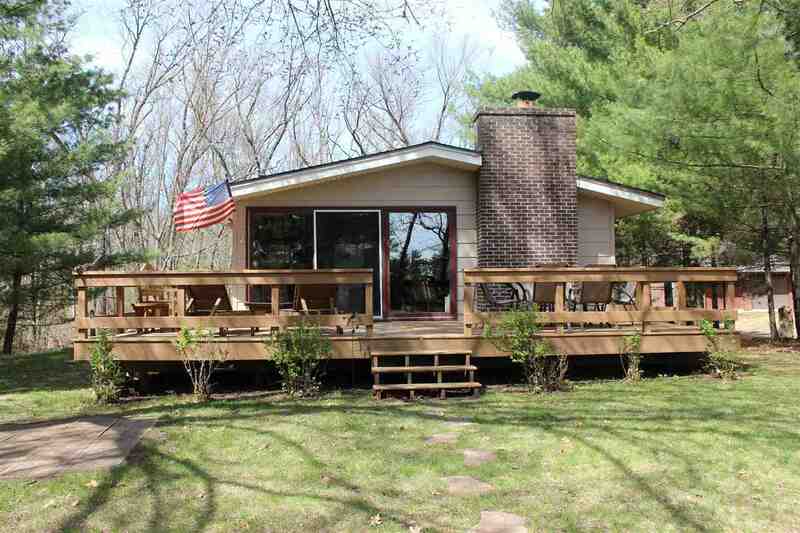 Enjoy the spectacular views and calming waters from the large deck that overlooks the lake. The seller is also including a 1 year home warranty for peace of mind. Located just a short distance from restaurants and shopping and about 30 miles from the Dells and golf courses like Sand Valley, Northern Bay and Lake Arrowhead to name just a few. You're never too far from fun and relaxation. Directions: From Adams, North On Main St (Hwy 13) Turning West (Left) On Chicago Dr. To Property On Left. Items Included: Refrigerator In Kitchen & Basement, Stove, Dishwasher, Washer, Dryer, Firewood And Window Coverings.